CSI: Hard Evidence continues the crime-solving experience of Ubisoft's CSI video game series. Players join Gil Grissom, Catherine Willows and the rest of the Las Vegas cast to help solve crimes using realistic techniques and lab equipment. 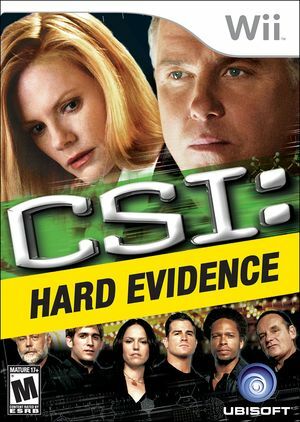 CSI: Hard Evidence features forensic reconstructions and atmospheric crime scenes taken directly from the television show, including an all-new garage lab for analyzing large evidence such as cars and boats, improved evidence gathering, review and lab mini-games, and more areas to explore, resulting in longer play experiences. Starting with 4.0-2647, the game no longer boots when using the x64 JIT. It last worked in 4.0-2645. See issue 11580. The game hangs either during the intro company logos or the intro movie. The graph below charts the compatibility with CSI: Hard Evidence since Dolphin's 2.0 release, listing revisions only where a compatibility change occurred.